The product is delayed by the manufacturer, from the latest information, it will be shipped around January 16, 2019. We will try to get it delivered as soon as we can. Please Note: This product will be shipped around December 31, 2018 (ETA, not guaranteed). The final shipping date depends on the manufacturer. We will try to get it delivered as soon as we can. 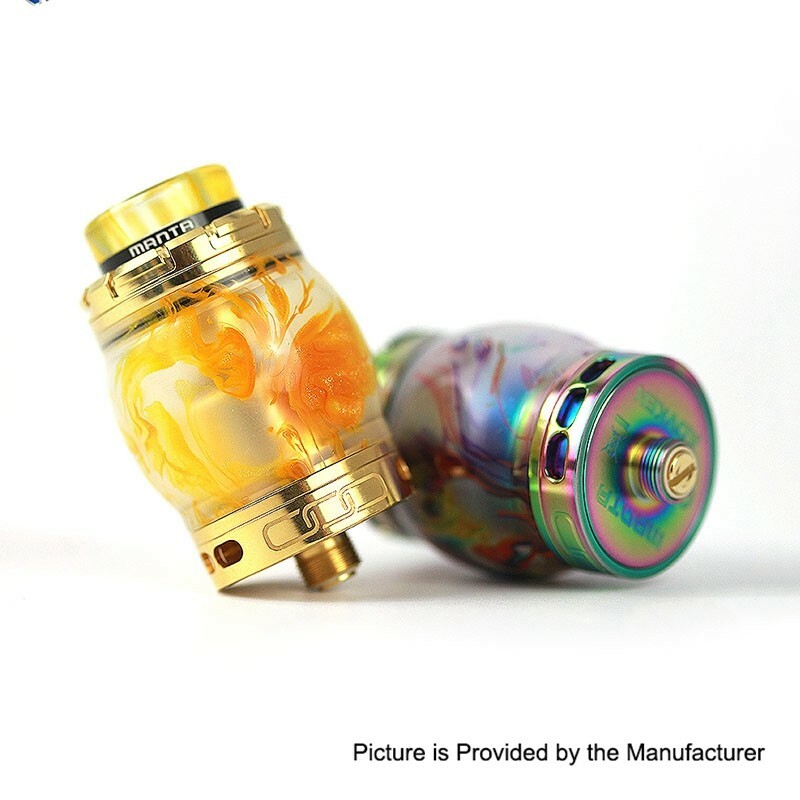 Advken Manta RTA Resin Edition is coming! 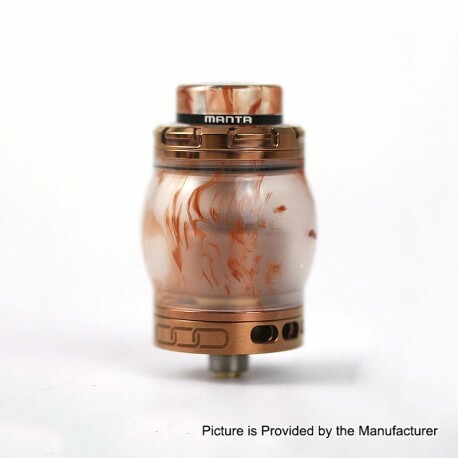 The authentic Advken Manta RTA is a 24mm diameter tank with 4.5ml capacity. The special two-post design can be compatible with different types of wires. It also features convenient top filling, gold plated posts, and bottom adjustable airflow. Manta RTA comes with a beautiful resin 810 wide bore drip tip.